Many people are confused by advance directives for health care. They are unsure what type of directives are available and whether or not they need directives at all, especially if they are young. There are several types of advance directives. One is a living will, which communicates what type of life support and medical treatments, such as ventilators or a feeding tube, you wish to receive. Another type is called a medical power of attorney. In a medical power of attorney, you name another person to make health care decisions for you in the event are unable to do so for yourself. A third type of advance directive for health care is a do not resuscitate order or a DNR. A DNR is a request that you not receive CPR if your heart stops beating or you stop breathing. If you are 18 or over, it is time to establish your health care directives. Although no one thinks they will be in a medical situation requiring a directive at such a young age, it happens every day in the United States. 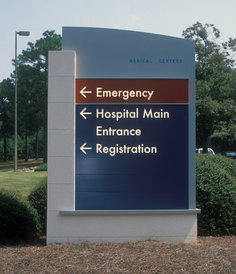 People of all ages are involved in tragic accidents that could not be foreseen which result in the use of life support. If you plan in advance, you can make sure you receive the type of medical care you wish, and you can avoid a lot of heartache for your family, who may be forced to guess what you would want done. Many people do not want to execute health care directives because of some common misperceptions about them. People are often frightened to name someone to make health care decisions for them, because they fear they will give up the right to make decisions for themselves. However, an individual always has the right, if he or she is competent, to revoke the directive or make his or her own decisions. Some also fear they will not be treated if they have health care directives. This is also a common myth – the directives and medical power of attorney simply inform caregivers of the type of treatment you would like to receive in various situations and the person you designate to make health care decisions if you cannot. Planning ahead can ensure that your treatment preferences are carried out while providing some peace of mind to your loved ones who are in a position to direct them.